Five years after the launch of the first generation of Android phones we saw Samsung firmly established as the market leader, with the Samsung Galaxy S5 being the one to beat. Challengers such as HTC were putting up a good fight, and overall the technological features that were on offer with these high-end devices were really impressive. But the problem was that they came at quite a price. If you wanted a SIM-free Galaxy S5 then you would be looking at shelling out £600 or more. Five years ago that was a lot of money (although you can easily spend even more today). But was it really necessary to charge that much? Chinese startup OnePlus didn’t think so and set out to make a flagship device that could challenge the market leaders, but make it much cheaper. 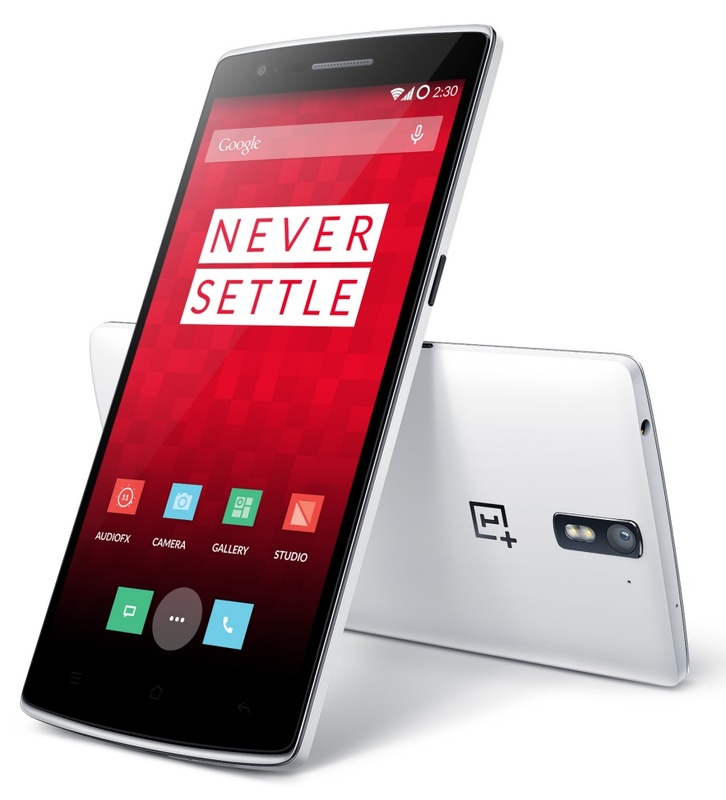 With the OnePlus One - announced in April 2014 – they succeeded. OnePlus was set up as part of the giant BBK Electronics in China, who already had the OPPO smartphone brand. While OPPO phones were mostly sold in Asia, the idea with OnePlus was to come up with a different sort of product that could be sold worldwide. But it’s difficult to set up a new brand from scratch, and there’s always the risk that it could crash and burn… taking a huge pile of cash with it. The OnePlus One itself was impressive. A 5.5” 1080p display, 13 megapixel camera, quad core CPU, 3GB of RAM and 16 or 64GB of internal memory. LTE and NFC support were included. The operating system was interesting: Cyanogen OS was a commercial version of the Android-based CyanogenMod and it was a clean, responsive and elegant platform that won fans in its own right. The packaging showed real attention to detail, and you could customise your One with all sorts of unusual materials including wood and fabric backs. The price for all this? It was half the price of the Samsung, for arguably a better specification. So, you might reasonably get excited by all this and want to rush out and buy one. You couldn’t actually just go and buy one of the things, you had to be invited to buy one. Because OnePlus didn’t want to build loads of these only to find out that they couldn’t sell them, the invite system allowed them to ramp up production in a steady way. And to begin with, getting an invite involved jumping through all sorts of hoops including following OnePlus on social media… just to join the waiting list for an invite. Eventually invites got more and more common, and OnePlus One owners could send them out to their friends. This turned out to be marketing genius. One way to make a product desirable is to restrict availability, and either deliberately or accidentally this helped build up the hype. When customers finally did receive their OnePlus One devices, they were beautifully packaged and just as good and they’d hoped. There were a few problems, notably an issue with the displays turning yellow at the bottom due to a rushed manufacturing process. Customer service wasn’t brilliant. The Cyanogen OS eventually crashed and burned, leaving the One pretty much orphaned. Still, even flagship phones costing more than twice as much can have worse problems and the One was certainly good enough for OnePlus to get a significant fan base. The (mostly) improved OnePlus 2 was launched the following year, still using the invite system. But this was eventually dropped and successive OnePlus devices launched every six months or so keep improving the line-up… but as the company has matured, the price of the products has also risen considerably. Prices vary, but a OnePlus One in excellent condition can be around £100 or so. Tinkerers can update the built-in OS to the latest version of Android using LineageOS – a descendant of the Cyanogen OS the One originally shipped with. It seems there’s plenty of life left in the One yet.